This risk is related to the mother’s age at delivery. Traditionally, Down Syndrome screening has been performed at 16-20 weeks of pregnancy. Recently, a test performed between 11 and 13 weeks has been introduced that can provide women with reassurance early in their pregnancy that they are at low risk for this problem. Download the "First Trimester Screening Program" brochure. It is a combination of a finger stick blood test (the serum screen) and a specialized ultrasound exam performed in the early part of pregnancy to assess a woman’s individual risk for Down Syndrome and Trisomy 18. This blood test can be taken between 9 and 13 weeks of pregnancy. Two proteins normally found in the blood during pregnancy are analyzed by the laboratory: free Beta hCG and PAPP-A. This ultrasound is performed between 11 and 13 weeks. The exam can be performed in most cases by placing the ultrasound on the mother’s abdomen. Measurements will be taken to confirm the gestational age of the baby and to see the heart beat. It is difficult to see all structures this early but a general survey will be performed to reassure you that the baby appears normal. The nuchal translucency (NT) or amount of fluid behind the fetal neck is measured. This NT measurement is combined with the blood test result to assess your risk for Down Syndrome and Trisomy 18. The combination of the blood test and NT will detect 90% of fetuses with Down Syndrome. Most fetuses with Trisomy 18 will also be fou nd by this method. In some cases, the First Trimester Screen detects other abnormalities as well. The test cannot exclude all birth defects and future developmental delays. Any pregnant woman seeking early reassurance about her baby’s health may consider First Trimester Screening. If you are early in your pregnancy, whether you are at high risk or not, ask your obstetrician if this test is right for you. A sonographer and physician will perform your ultrasound. You do not need a full bladder for this exam. You will be given results of the ultrasound during your visit. Next, you will meet with a genetic counselor to briefly discuss first trimester screening. She will then obtain a blood sample from your finger for the serum screen. If you have additional concerns after the screening is completed, you may schedule a follow up consultation to discuss these issues in more detail. What if I have additional concerns? Some women have a personal or family history of a genetic problem for which they would like more information and possibly testing. A genetic counselor can arrange a consultation before your First Trimester Screening appointment to discuss these issues in detail. What if my results show a low risk? Most women will be given reassuring test results. 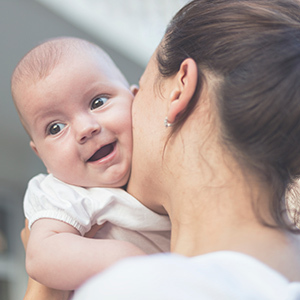 For those younger than 35 years at delivery, a maternal serum alpha fetoprotein (MSAFP-a blood test) at 16-18 weeks and a screening ultrasound at 18-20 weeks are recommended. Women who will be 35 or older should also have the MSAFP as well as a targeted ultrasound examination. The option of the integrated screen, combined first and second trimester testing, is also available to all women. For more information or to schedule an appointment, call (860) 972-4153.